In the know: Vikings SM Lanang also offers Traveler's Discount this Kadayawan season. To know more about this promo head on to their Facebook page here; https://www.facebook.com/VikingsLanang. Alright, and so for your Entrée, you’ll have the most lavish Filipino spread ever this Kadayawan. Starting off with the Vegetable Entrée. 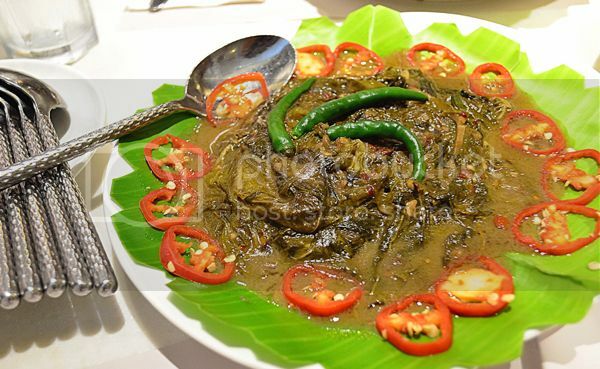 If you want a taste of Bicol, these dishes are certainly a must pick. All two dishes mentioned above are extra hot and spicy and it’ll definitely make you all awake right through your dining exploration at Vikings. You should try it! 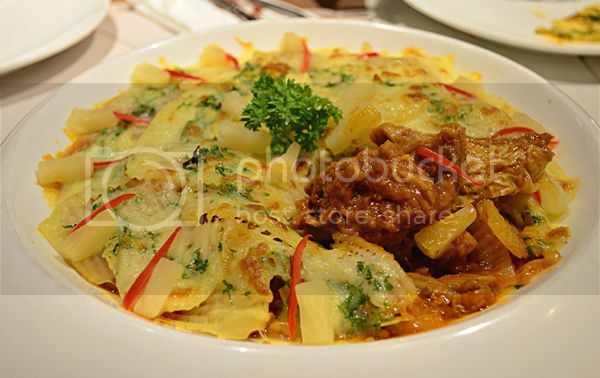 If you crave for a Filipinized valenciana, then this dish is for you. It’s filled with rich flavor befitted the Filipino palate. Rice palang ulam na! It’s so good. No need to drive to your favorite Chinese noodle house and get a take home Sate Mi. 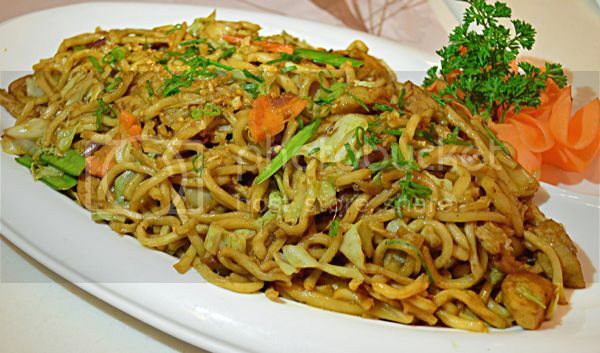 At Vikings, you’ll have a platterful of the most flavorful and so ‘masahog’ noodle in your life. Tradition has it, you should have this on your birthday for a long life, which coincidentally you can have a whole tray of this for free! Davao has the abundance of bihod (fish eggs). I should know, I do family marketing every single Sunday. And to have this on my noodle spaghetti is kind of unusual for me. 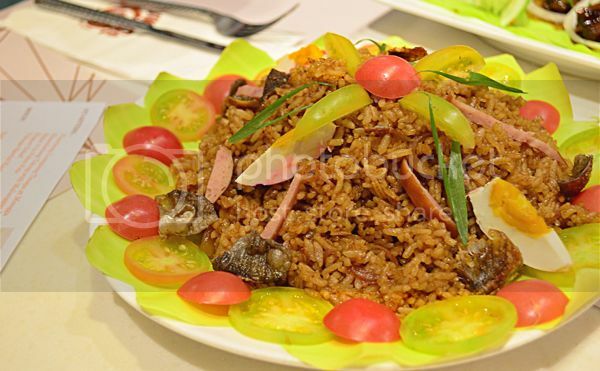 But then, food fusion is something you shouldn't be surprised about, but instead should be appreciated and relished down to the last bite. And guess what? I carbo load to the max. It’s so good, trust me, forget about your diet, we only live once. 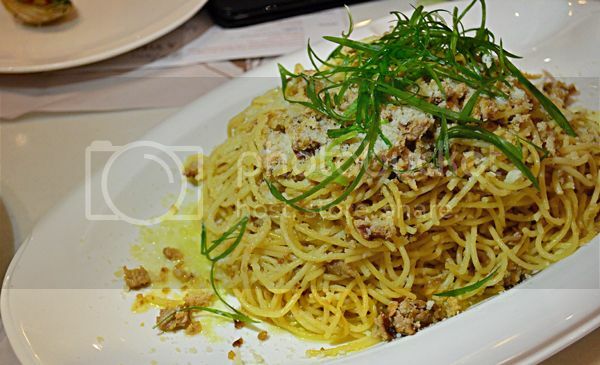 Try a pasta with a bihod on it, para maiba naman! 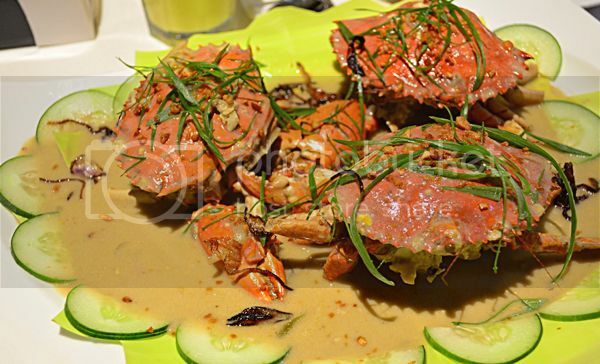 We Pinoys really love our crabs in coconut milk, right? Indeed! They’re best eaten with bare hands and with a heaping freshly cooked rice on the side. 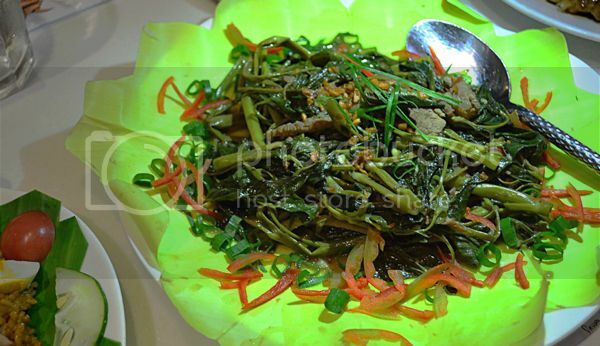 Vikings Davao have this appetizing dish in their Kadayawan menu and take note, you can eat all you can eat. Don’t forget to kindly ask your waiter for a crab cracker. And, just work on those extra pounds later. Revel in! 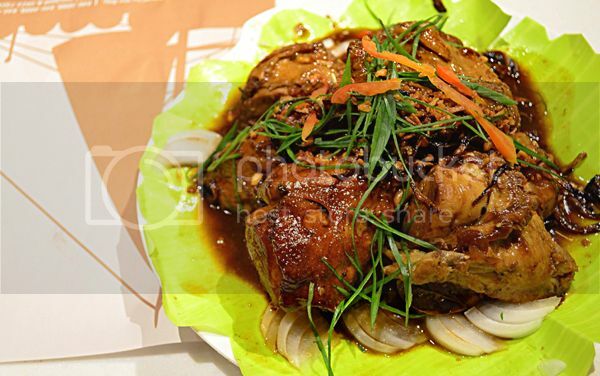 According to Chef Adam, this is not your usual adobo. It’s twice cooked - fried, marinated and cooked to tender perfection. Indeed, the essences sip in to the poultry making it so deep in flavor. If you’re a non-Filipino national and would want to experience an authentic Filipino adobo culture, then Vikings version is something you should try. Lami jud siya, lahi ra! This dish is my personal favorite. I love stuffed food, they’re effortless to eat. Wala ka ng himayin. What more if it’s a stuffed chicken with yet again another atypical sauce that comes with it - the Mangosteen Sauce. August is the season of this fruit and they’re all over hanging the wayside of the city. I think the Chefs are making the most out of the local produce and they’ve come up with this sweet and tarty royal sauce. I really like it to the moon and back. It’s really delicious. I should come back for this. Promise! 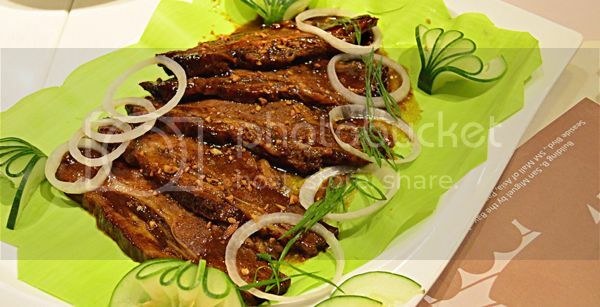 Experience beef steak tagalog tenderness in your plate, Vikings will let you have it. You shouldn’t miss this for the world! Malambot at masarap! If you want a taste of your hometown caldereta leveled up, Vikings Spicy Baked Calderetang Kambing is all up to satisfy you. It’s one thick, flavorsome knock out provincial goodness you shouldn't miss trying. I love it paired with the usual up-size iced soda on the side. Burrrp! 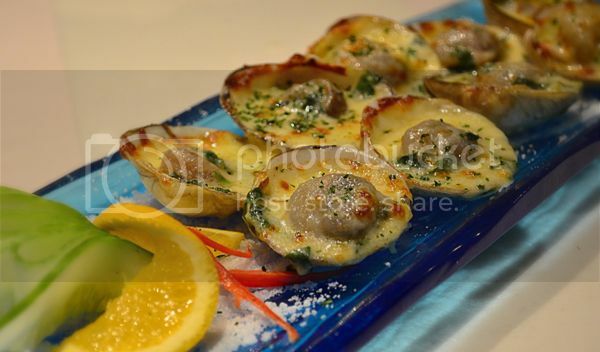 Bless the hands who prepared this seafood goodness, ordinary shell made extraordinarily palatable. It’s really good. Highly recommended! There has been countless of recipes listed that incorporate what Davao is famous for, Durian. 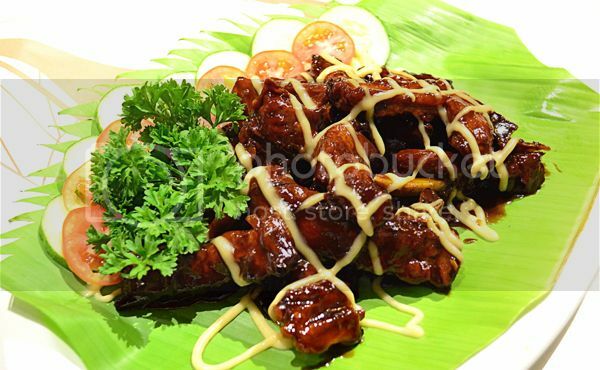 And let’s list this Baby Back Ribs as one of them. 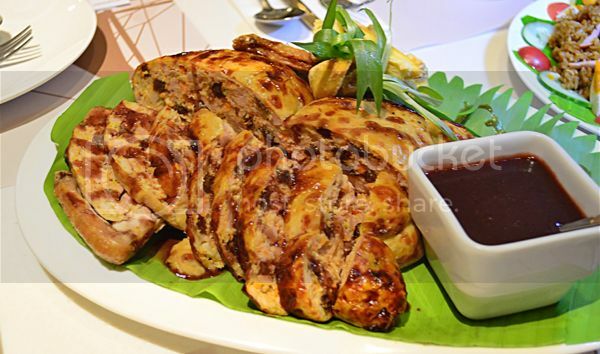 We have tried Mangosteen sauce in a stuffed chicken, this time a Durian sauce on top of a barbequed baby back ribs. So you ask, how does it taste? I think the sweet section in my tongue map is the widest, lol, that’s why I like it a lot. It’s generally on the sweet side, both sauces are sweet actually that’s why it draws me. But I’ll leave the comment section below for your review. I would love to read what's your tongue's take on this.